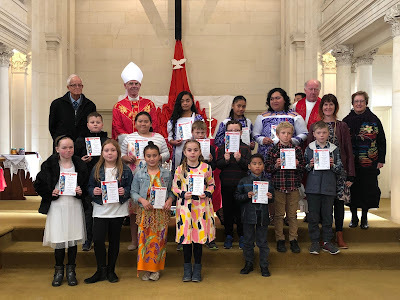 It was a privilege to celebrate this occasion with our children, supported by parishioners, staff, school families and the Dominican Choir and to welcome our new Bishop, Bishop Michael Dooley. Well done to our year 5-6 class who stepped up in Mass this morning, taking on the senior leadership roles in the absence of our year 7 & 8s (at tournament in Timaru). You did a fantastic job. 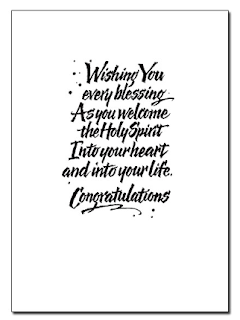 This Sunday 1st July at 9.30 am is our Welcome Mass to welcome the new students of St Joseph's school into our parish community. They will all be presented with a picture Bible from our Home and School Association. If you have had an invitation and not yet replied, or if your child is new to school and not yet received their Bible, please contact me before the weekend. There is a cultural concert with the parish after Mass this Sunday in our school hall. Our children will be participating in the kapa haka and the Pasifika groups. Children may wear their cultural clothes to Mass before the concert if they wish. Your children's mid year reports will go home next week. They will look different from the reports you have been used to. We would like to have the opportunity to explain how you can get the most benefit from the reports and so we are having a parent meeting at 6.30 pm next Monday 2nd July in the school hall. The meeting should only be 20-30 minutes long. To be sufficiently resourced so that we can focus on teaching and learning and provide for the needs of all of our children in reasonably sized classes. To address the crisis in teacher supply by continuing to attract and retain quality teachers. This isn't about us or what we want for ourselves, it's about the conditions that make learning possible for the children. Last week three separate visitors to our school remarked on how calm, happy and respectful our children are - we are proud of them. Blessed are those who are sane enough not to take themselves too seriously; they will be valued by those around them. Kristiana Whiston, Alexie Phillips, Mya Lindsay, Anthony Chen, Indeg Jones-Hogan, Mikayla Criddle, Kaycee-Mae Gibbins and Milah Anderson. Students are to wear mufti clothing next Friday 6th July and to bring a gold coin donation for Caritas mufti-mania. Money raised will go to Apifo'ou College in Nuku'alofa, Tonga which was affected by cyclone Gita. A pair of earrings with pink stones was found in the back of the church after Confirmation last Sunday. They can be collected from the parish office between 9.00 am to 2.00 pm orwe can arrange to drop them over to the school. Thanks Elaine Hurley - St Patricks Parish. A parent has recommended Neutralic Advance to help kill Head Lice and eggs. A notice will come home today for all junior students regarding the junior water safety programme for next term. Here are some photos of the Junior Catholic Quadrangular tournament played in Dunedin a couple of weeks ago. Yesterday our Yr 7 & 8 students participated in an inter-school against St Joseph's in Timaru on a lovely warm day in which every student played either chess, netball, basketball, football and rippa rugby. Each game was 2 x 15 minute halves and 3 games were played simultaneously. Our school won the 2 basketball games, 2 netball games, rippa rugby and drew with the football and the chess. Well done to Elias Maher who won the chess overall and he even beat the South Island chess champion!!! Special thanks to our parent helpers Anna Beveridge and Cranos Chikowore who both coached and transported children. The children enjoyed a special treat after the interschool as they went to the Timaru Swimming pool and enjoyed their facilities. More photos of the inter-school will be in next week's blog. Please note that Subway lunches cost $6.00 and not $5.00. North Otago Rock & Mineral Club Gemstone Jewellery & Craft Fair - held on July 7th and 8th at the Scottish Hall. Gold coin admission. There is fossils jewellery, face painting, crystals, displays, activities, gifts etc. Flyer attached to email. A big thank you to Paula for your arrangement and Sara and parents for your supervision and engagement in the Quadrangular tournament and St Mary's Mosgiel interschool (which we won) over the last couple of weeks. The feedback regarding the children's attitude and participation was very positive and the children loved it. If anyone knows of anyone intending to enrol at St Joseph's in the next 12 months would you please ask them to contact me as soon as possible. This will help us make decisions regarding classes for 2019. We really enjoyed meeting some of our newer families on Tuesday evening at our induction evening. It really struck me how we come from all four corners of the world to be in St Joseph's in Oamaru. 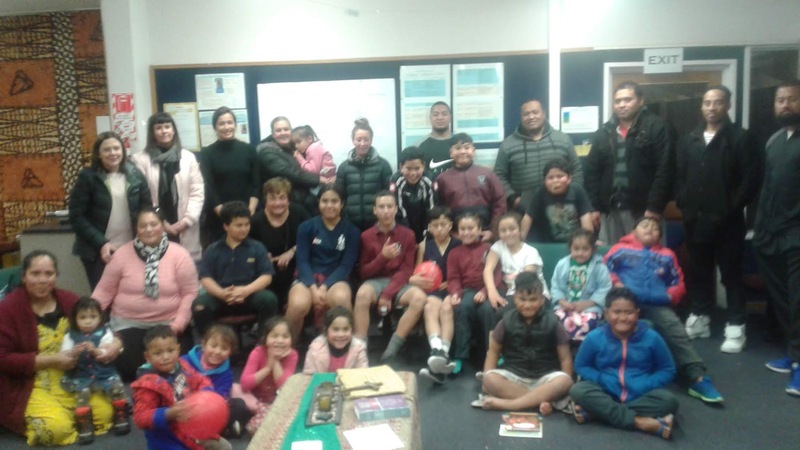 For those families as promised, and all families, here is the link to our Family/Whanau book which is a guide for parents of children in a Catholic school and covers all year levels. 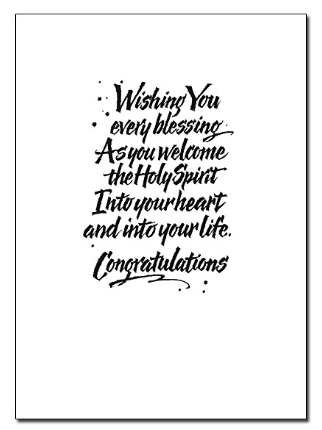 A group of our students will be receiving the Sacrament of Confirmation on Sunday at 9.30am mass. The Dominican Choir will be singing and we invite all our community to join us for this joyous occasion. We look forward to welcoming our new Bishop, Bishop Michael Dooley to our school on Friday and for the Confirmation Mass on Sunday. If you would like to meet him he will be at our celebration assembly on Friday. We warmly welcome all of our community to our Welcome Mass on Sunday 1st July at 2018. The children new to our school in the last few months will be welcomed and presented with Bibles by our Home and School Association. We are in the process of reviewing how we do reporting as explained in the last newsblog. All parents and caregivers are invited to join us in the school hall at 6.30 pm on Monday 2nd July. We will have a 30 minute session explaining the background of what we're aiming to do and giving you some guidance in interpreting and making use of your child's report. Another reminder that the teaching staff are attending a Union Meeting on the afternoon of Wednesday 28th June at 1.30 pm. School will be open till 3.00 pm but children are allowed to be collected at lunch time. Please sign them out of the office. Please note our staff will endeavour to reply to emails within 24 hours on weekdays. If you have any concerns about anything please contact your child's teacher to outline your concerns and book an appointment with them. There is more information on the parent's page and we encourage you to access this to enable further conversations with your children. 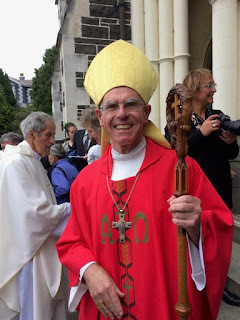 Confirmation Mass will be with Bishop Dooley on Sunday June 24 at 9.30 am followed by a shared morning tea afterwards in the Dean O'Reilly Lounge. All Sacramental candidates are asked to meet in front of the Sacristy at 9.15 am. 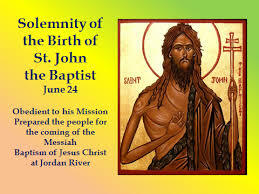 Jesus, and he is the one who baptises Jesus. Zacharias and John. It is a good one.